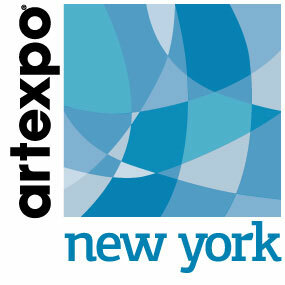 For over 34 years, International Artexpo New York has been the world’s largest fine art trade show, providing trade buyers and weekend shoppers with access to thousands of innovative works from artists and publishers from over 30 countries—in a single venue. In 2011, the art world, reflecting the pervasive bear economy, was struggling to stay afloat. In the midst of the downturn, we aimed to increase Artexpo attendance, sponsors, educational seminars and, most importantly, revenues. Our multi-pronged approach bore fruit on all fronts – enabling us to exceed every goal: Free Arts NY partnered with celebrity exhibitor Jane Seymour to create a fantastic Saturday of art for under-served inner city kids. On the opening day of the show, two years in a row, we secured Associated Press wire service coverage that resulted in millions of hits with top media outlets worldwide. Two years in a row, we wrote and placed Opinion pieces bylined by Artexpo CEO Eric Smith that ran on Fox News.com. We recruited a diverse committed group of show sponsors including: The New York Observer, GE Capital, Citibank, Prohibition Distillery, Societe Perrier, Art Business News, Free Arts New York, Fredrix Artist Canvas, La Rosa Del Monte Worldwide Movers, Popchips, Palo Mamajuana, Heavenly Organics, Interior Design Society, Deljou Art Group, New Wave Art, LLC, and more. We recruited renowned Internet entrepreneur and VOIP pioneer Jeff Pulver to be the keynote speaker, and we assembled an “A List” of panelists for our art business education seminars. In total, we increased attendee traffic by 25 percent, and swelled revenues by 40 percent. "Over the past couple of years Dean Draznin Communications has been an integral part of expanding the audience of Artexpo New York. Following a well-rounded advertising campaign and media relations program guided by Dean and his team we reached thousands of media outlets in both print and electronic media resulting in a 40% increase in attendance revenue."